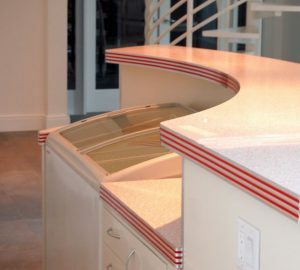 A one of a kind custom flip up counter top bar! 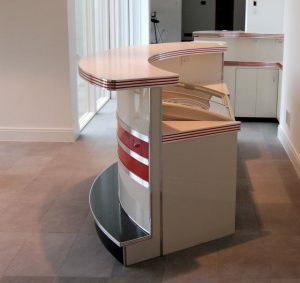 Built especially to fit in our customer’s long, narrow basement area….space left over after the theater room, after the spa, after the exercise area and after the locker rooms…did I forget after the wine cellar?? 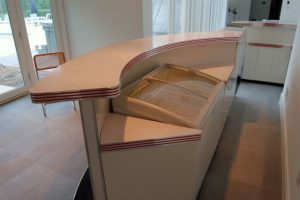 This custom bar is an “L” shape with a “flip up counter top section, and was built around the customer’s ice cream dipping cabinet. 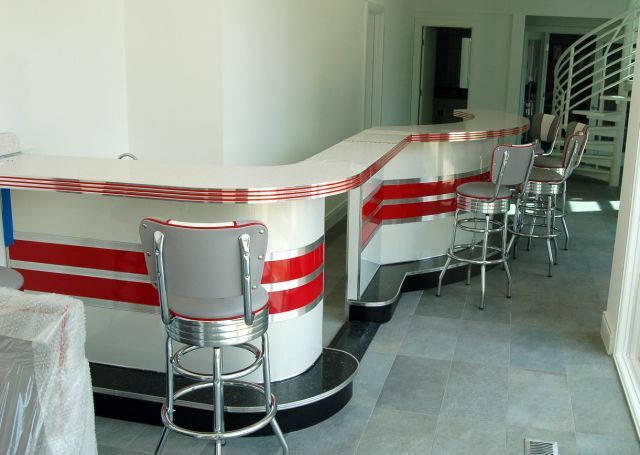 This is truly a beautifully designed bar which fits perfectly in the available space…. 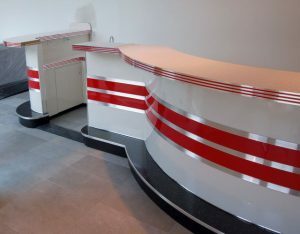 we can’t wait to see finished pictures.